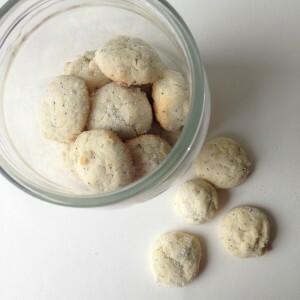 Baking cookies with the kids…how idealic. Now that my girls are getting older we are able to spread our baking wings in the kitchen. I don’t need to be as “hands on” and they are able to bake recipes that they like. So, when I suggested we bake oatmeal cookies, my girls were happy to lend a hand. 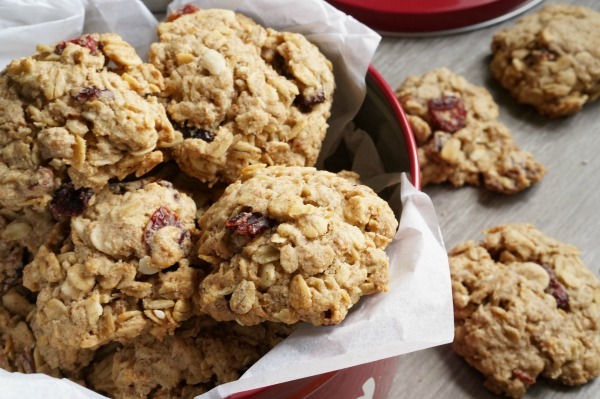 This recipe is based on Chef Jamie Oliver’s wife’s healthy recipe…Jool’s Easy Oaty Fruit Cookies. We decided to dress the recipe up for the holidays by adding in cranberries and almonds. I was tempted to add chocolate, but at the last minute I kept the chocolate out. These cookies are a delicious, healthy holiday option that kids will love eating – and they won’t even care that they are a healthier cookie. Combine together flour, oats, cinnamon, all spice, cloves, baking soda and almonds in a large bowl. Give them a good stir to combine everything together. In another bowl cream together the butter and the brown sugar. Once the butter and sugar are creamed together, add the egg and beat until combined. Now transfer the butter mixture to the dry ingredients. Stir until the dough starts to come together. Now, we found the this didn’t make a traditional, doughy cookie dough. Wet your hands roll a tablespoon of cookie dough in your hands. 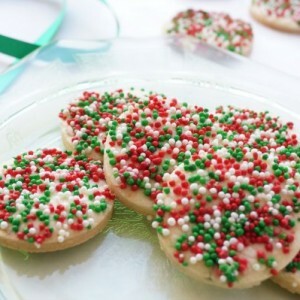 Drop the ball on the parchment paper lined baking sheet and use the palm of your hand to flatten the cookie. Bake the cookies in a 350°F oven for 8-10 minutes…the bottom of the cookie will be lightly golden. Leave the cookies for 5 minutes to cool on the baking sheet and then transfer to a rack to cool. Here we go with a delicious giveaway from the Food Revolution Toronto team. We are going to be hosting a monthly baking and cooking challenge – a fun way to motivate folks to cook and bake recipes at home. Whether it’s with the kids or without, we would love to see you getting your hands messy in the kitchen. 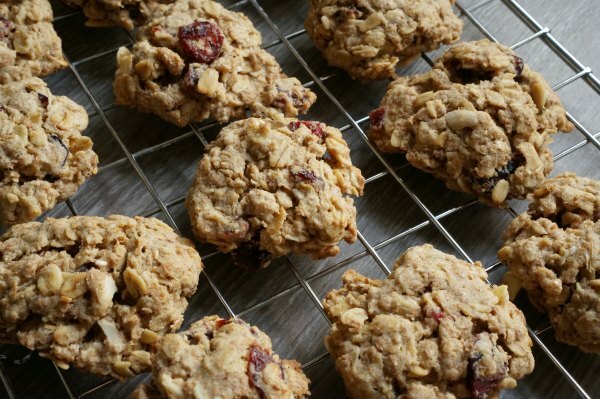 This month the Food Revolution Toronto team is baking Jool’s Easy Oaty Fruit Cookies – a simple and healthy oatmeal cookie that everyone will enjoy. 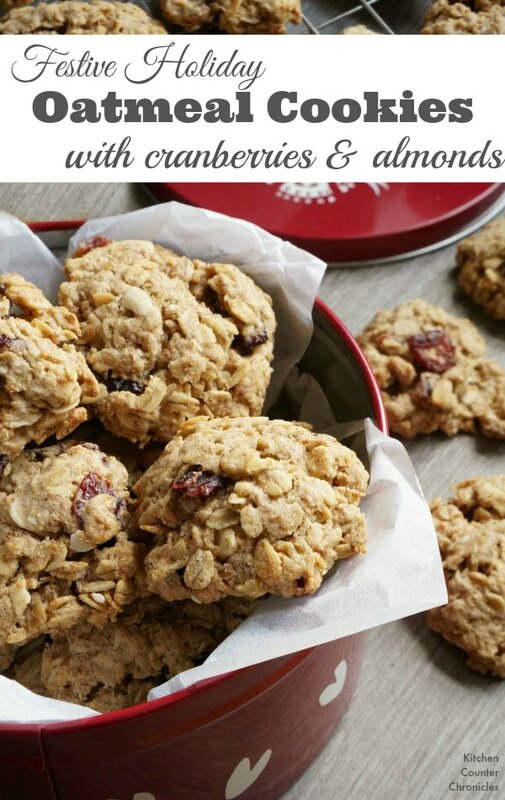 Bake Jools’ Easy Oaty Fruity Cookies with your family, friends or on your own, snap a picture and share it on social media using the hashtag #CookwithFoodRevTO (don’t forget to tag us here, on Twitter or on FB) and you’ll be entered to win a Chef Jamie Oliver cookbook! Contest begins on December 1st 2016 at10am EST on and closes December 31st 2016 at 6pm EST. – There are four (4) prizes in total. – Winners will be chosen randomly (using random.org) from all qualified entries on December 31st 2016 after 6pm EST. – Winners will be notified via email January 1st 2017 and will have 48 hours to respond to the email. – Winners will be required to answer a skill testing question.